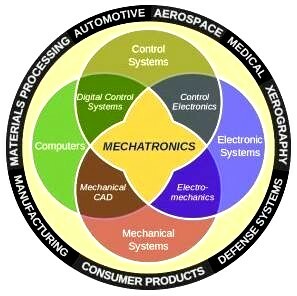 Mechatronics is a multidisciplinary field of engineering; design processes include a combination of mechanical engineering, electrical engineering, control engineering and computer engineering. Mechatronic Solutions has diversified, reducing its market dependency on the automotive supply chain from 95%, 5 years ago, to 49% in 2013 –14.In all it currently supplies the automotive, aerospace, business equipment, food & drink, healthcare, medical and packaging sectors. To accommodate their expanding work load, in 2012 they moved from Sheldon to Kings Norton Business Centre, joining over 80 companies there, adding five new senior engineers to their small, highly skilled workforce and building further relationships with reliable contractors in all Mechatronic disciplines. One of many advantages of moving to larger premises was adding a Concept Kaizen area to serve Mechatronic’s growing customer base. Prototypes can be developed in this area and machines modelled in soft materials to provide an early realisation of the concept design being developed by Mechatronic engineers. By improving standardized activities and processes, Kaizen (lit: ‘change for the better’ – continuous improvement), first implemented in several Japanese businesses after the Second World War and formalized by Toyota, is now used throughout the United States and known as lean manufacturing. One of a range of case studies on Mechatronic’s website. Rentokil Healthcare, part of the Rentokil Initial international services group needed more effective protection for employees from the risk of injury from ‘needle stick’. The company provides waste disposal services to factories, retail and leisure outlets. Although healthcare workers are those most often affected by needlestick injuries, other occupations can be affected, including refuse collectors, cleaners and tattoo artists. Needlestick injuries can also affect carers and children picking up used needles. The major concerns associated with needlestick injury are the risk of contracting hepatitis B virus, hepatitis C virus and HIV. After an initial feasibility study, Mechatronic developed an automated system to deal with every aspect of emptying and cleaning bins. The components of the automated solution had to be able to operate in different countries, so the software had to give commands to equipment and operators in the relevant native tongue. 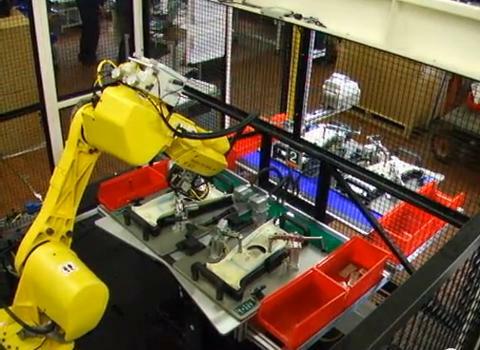 Mechatronic was then asked to project manage all further installations worldwide. Rentokil employee working conditions and safety environment have improved and productivity rose. Their healthcare depots have significantly increased the number of bins per hour that can be handled. Many of Mechatronic’s other processes use robotics and the company has designed and built an automatic robot cell to check and ultrasonically weld ten different assemblies with coded, quick change fixtures. This procedure may be seen on video – https://www.youtube.com/watch?v=pmn8FUAAJ78 – and links to other videos may be seen on the website of Mechatronic Solutions. The Birmingham Press reports that MP Richard Burden, concerned about the high level of long term unemployment in his Northfield constituency, hosted a jobs fair for South Birmingham at Bournville College last year. This was part of the Climb to the Future Project initiated in 2013 to bring the local community and businesses together to build a new economic future for the area. Organisations involved included Birmingham City Council’s Employment Access Team, Bournville College, the Department for Work and Pensions and the National Apprenticeship Service. Mechatronic Solutions was one of over 40 employers from across the city exhibiting on the day, including local firms involved in the Climb project, such as MG Motor and ADI Total Engineered Solutions. This entry was posted on Saturday, April 4th, 2015 at 6:10 pm and is filed under Apprenticeships, Design, Engineering, Manufacturing, Metal working, Services, SME. You can follow any responses to this entry through the RSS 2.0 feed. You can leave a response, or trackback from your own site.